For the first time ever, bestselling author Eckhart Tolle brings the core of his teachings to children, ages 7 to 100. Beautifully illustrated and artfully expressed, this charming story will bring joy to children and their parents for decades to come. Milton, who is about eight years old, is experiencing bullying on the school playground at the hands of a boy named Carter. Because he is being picked on, Milton no longer enjoys going to school. In fact, he dreads each morning because of his fear of Carter. 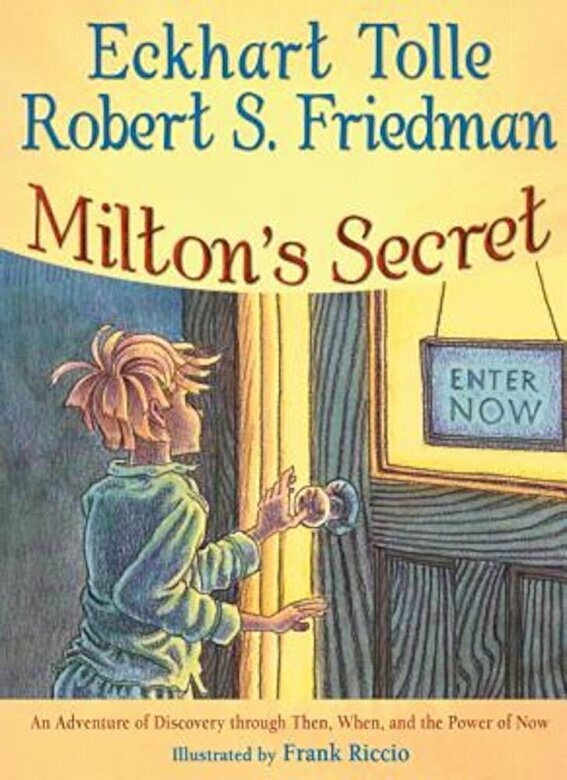 By discovering the difference between Then, When, and the Now, Milton is able to shed his fear of being bullied. Living in the Now, he no longer dreads encountering Carter--and this changes everything. "Milton's Secret" will not only appeal to the millions of adult readers of Tolle's other books, but also to any parent who wants to introduce their children to the core of Tolle's teachings: Living in the Now is the quickest path to ending fear and suffering.